TWO FOR THE PRICE OF ONE! 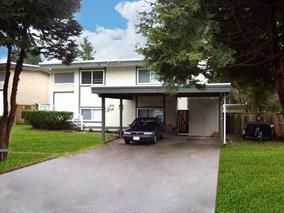 Excellent investment here, totally updated home in quiet HATZIC BENCH location. Has had a whole new makeover within the last few years with NEW kitchen counters, sinks, cabinets, bathrooms, flooring throughout, carpets, paint & soffits just to name a few. Sits on a massive, flat 10,856 square foot lot. Fully serviced & connected to city sewer & water. Lots of room to park your boat/RV/trailer, walk to convenient store, Hatzic middle school, soccer fields/tennis courts & tons of walking trails & parks. Tucked back in a quiet neighborhood yet just up the hill from Lougheed where your minutes away to town & all the amenities you need.